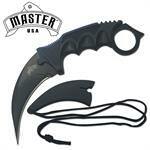 4.25 Inch 3MM Thick Stone Black Finish Hawk Blade Neck Knife With G10 Handle. Includes Kydex Sheath. 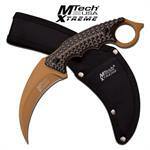 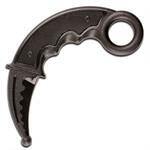 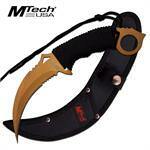 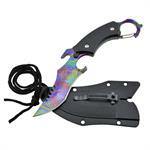 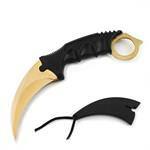 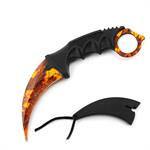 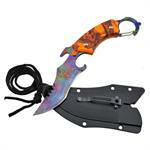 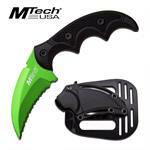 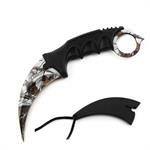 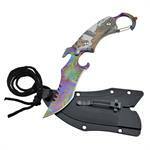 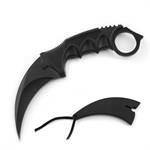 MTech Xtreme Fixed Blade Hunting Karambit Style Handle Knife. 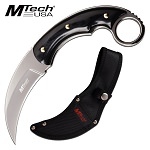 9.25" Overall length with 4" Blade length stainless steel.